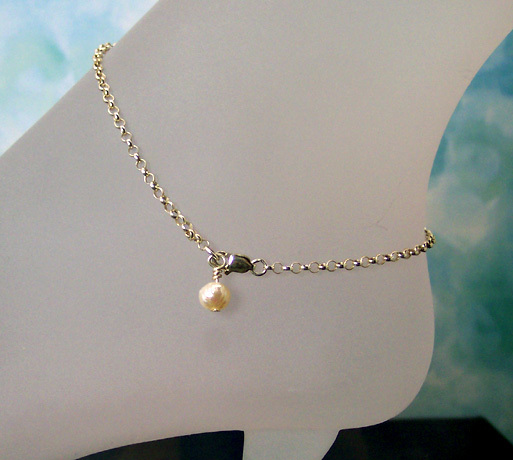 Anklet of sterling silver .5 mm Rolo chain with 5 mm freshwater pearl dangle. Finished off with a sterling silver lobster claw clasp. Anklet is adjustable, clasp can be fastened anywhere along the chain increasing the length of the dangle and shortening the anklet.